Off records from the Ministry of Interior for aged applicants for whom no birth certificates were previously issued. The applicant’s name and date of birth should be stated in the off records. Two (2) 2×2 inches in size, taken within the past 6 months. The photographs may be in color or black and white. Photographs should be taken in normal street attire, without a hat or headgear that obscures the hair or hairline. Uniforms should not be worn in photographs. If prescription glasses, a hearing device, wig or similar articles are normally and consistently worn, they should be worn when the picture is taken. Dark glasses or nonprescription glasses with tinted lenses are not acceptable unless required for medical reasons. A medical certificate may be required to support the wearing of such glasses in the photographs. If you choose to submit digitized photos, they must meet the same requirements of all passport photographs. In addition, digitized photographs are always produced on digital printers. Some printers will produce a photograph in which the dots are seen. Visible dots distort the image by making it look grainy. Acceptable photos have a continuous tone image that looks very photo-like. Vending Machine photos are NOT acceptable. Homemade Digital Photographs are not acceptable. Ecuador is located between Peru and Colombia in western South America. It borders the Pacific Ocean along the Equator. The majority religion in Ecuador is Roman Catholic, accounting for 95% of the population. Speaking of population, it is estimated that Ecuador is home to somewhere in the region of 15,654,000 people. Never underestimate the importance of knowing something of the local language. Just as any trip to Santiago, Chile will be improved by knowing a few words in Chilean Spanish, understanding the language in Ecuador will be of huge benefit. There are over 20 different languages spoken in Ecuador, though the official language is Spanish. Perhaps not surprisingly, Spanish is also the most commonly spoken. If you can speak Spanish, you’re way ahead of the pack. If not, you might want to carry a phrase book (or Google Translate) to help you get by. На фотокартці має бути відображено крупним планом голову і верхню частину плечей. Обличчя повинне займати 70-80% вертикального розміру знімка (визначається візуально). Фотокартка має бути зробленою на матовому папері високої якості з роздільною здатністю друку не менше 150 dpi. Фотокартка не повинна мати дефектів (подряпин, вм’ятин, плям, слідів від фарби тощо). Колір шкіри обличчя повинен бути природного кольору. Особа на фотокартці має дивитися прямо на фотоапарат. Особа на фотокартці має бути зображена з відкритими і чітко видними очима; волосся не повинне затуляти очі. Особа повинна бути зображена так, щоб обличчя трималося прямо проти фотоапарата і погляд не повинен бути через плече (портретний стиль). Голову потрібно тримати прямо. Фотокартка повинна мати однотонний одноколірний світлий фон для забезпечення контрасту між обличчям і волоссям. Допускається світло-сірий, білий фон. Ефекту «червоних очей» не повинно бути. Освітлення повинно бути рівномірним, без тіней і відбиттів на обличчі. Обидві сторони обличчя повинні бути ясно видні. Очі на фотографії повинні бути чітко видними; світло не повинно відбиватися в окулярах і лінзи не повинні бути темними. По можливості слід відмовлятися від великої оправи. Оправа не повинна затуляти очі. Головні убори не допускаються за виключенням випадків, конкретно передбачених компетентним державним органом. До таких випадків відносяться релігійні звичаї, медичні приписи чи культурні традиції. Дитина на фотокартці повинна бути зображена одна; спинка стільця чи іграшка не повинні бути видні. Дитина має дивитись на камеру з нейтральним виразом обличчя і закритим ротом. Фотокартка немовляти по можливості має бути зроблена у відповідності до вищезазначених вимог. Немовля має бути сфотографоване у вертикальному положенні, однак допускається фотографування немовляти, що лежить на білому чи світло-сірому покривалі. У якості альтернативи немовля може бути сфотографоване в сидінні для дитини, але за його головою повинний бути білий чи світло-сірий фон. Очі дитини мають бути відкриті, рот закритий, а руки особи, що підтримує її, не повинно бути видно. In the photograph should be displayed close-up head and upper shoulders. The face should cover 70-80% of the vertical size of the image (determined visually). The photograph must be made on matte high quality print resolution of at least 150 dpi. The photograph must not have defects (scratches, dents, stains, traces of paint, etc.). Color of skin should be natural color. The person in the photo should look directly at the camera. The person in the photo should be shown with open and clearly visible eyes, hair should not obscure the eyes. The person should be shown so that the face rested directly against the camera view and should not be over the shoulder (portrait style). Head should be kept straight. Photographs must have a monochromatic light colored background to provide contrast between the face and hair. Safety light gray, white background. Effect of “red eye” should not be. Lighting should be uniform, without shadows and reflections on the face. Both sides of the face must be clearly visible. Eyes on photographs must be clearly visible, the light should not be reflected in the glasses and lenses should be dark. Possible should abandon large frame. Frame should not obscure the eyes. Hats are not permitted except as specifically provided by the competent public authority. These cases include religious practices, medical prescriptions or cultural traditions. The child in the photo should be shown one; chair or toy should not be seen. The child has to look at the camera with a neutral expression and your mouth closed. The photograph of the baby as possible must be made in accordance with the above requirements. The baby should be photographed vertically, but allowed photographing baby lying on a white or light gray curtain. As an alternative, the baby can be photographed in the seat for a child, but his head must be white or light gray background. Eyes of a baby should be open, mouth closed, and the hands of the person who supports it should not be visible. 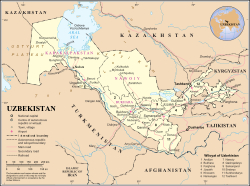 Uzbekistan has an area of 447,400 square kilometres (172,700 sq mi). It is the 56th largest country in the world by area and the 42nd by population.Among the CIS countries, it is the 4th largest by area and the 2nd largest by population. Uzbekistan lies between latitudes 37° and 46° N, and longitudes 56° and 74° E. It stretches 1,425 kilometres (885 mi) from west to east and 930 kilometres (580 mi) from north to south. Bordering Kazakhstan and the Aral Sea to the north and northwest, Turkmenistan to the southwest, Tajikistan to the southeast, and Kyrgyzstan to the northeast, Uzbekistan is one of the largest Central Asian states and the only Central Asian state to border all the other four. Uzbekistan also shares a short border (less than 150 km or 93 mi) with Afghanistan to the south. Uzbekistan is a dry, landlocked country. It is one of two doubly landlocked countries in the world (that is, a country completely surrounded by landlocked countries), the other being Liechtenstein. In addition, due to its location within a series of endorheic basins, none of its rivers lead to the sea. Less than 10% of its territory is intensively cultivated irrigated land in river valleys and oases. The rest is vast desert (Kyzyl Kum) and mountains. The highest point in Uzbekistan is the Khazret Sultan, at 4,643 metres (15,233 ft) above sea level, in the southern part of the Gissar Range in Surkhandarya Province, on the border with Tajikistan, just northwest of Dushanbe (formerly called Peak of the 22nd Congress of the Communist Party). The climate in Uzbekistan is continental, with little precipitation expected annually (100–200 millimetres, or 3.9–7.9 inches). The average summer high temperature tends to be 40 °C (104 °F), while the average winter low temperature is around −23 °C (−9 °F). 2 2″ x 2″ recent passport size photographs. Please SIGN on the back of each photograph and staple one photo to each application form. 2124 Kalorama Road N. W.
Three (3) passport size photos (white background, 1.5″x 2.5″) attached to the signed application form. 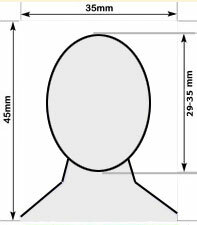 Two (2) passport photos 51 mm x 51 mm– must be bright, show all facial features and both ears. The photographs should have white background. Passport and Visa photos must conform to the internationally agreed Bio metric Standard for passports. • Be printed on high quality paper at high resolution. Call for an appointment 480.862.9002, Open 7 days a week with appointment only. Passport photos or visa photos will be ready at the time of appointment. Applicant should be in decent attire with collar. Photo must be of good quality, and no older than 6 months. Photo size: 4.5 cm x 3.5 cm. 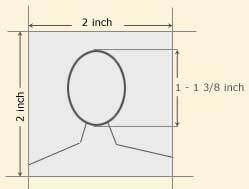 Facial image size: Not less than 3 cm. Note: DFA has the right to reject photos that do not comply with specifications and international standards. 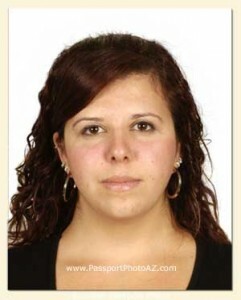 (at Williams Passport Photo AZ, we guarantee our work, never rejected). The Korea is one of the leading economic powers in Asia. It is steadily advancing technologically and scientifically, step by step with other rapidly growing countries. Korea is a place rich of culture and diversity, and is now respected all over the world for its rapidly growing industries. If you are living in Korea and you want to apply for a passport, you need to submit your application along with two identical colored passport photographs other than the desired documents. There are certain norms that need to be fulfilled for the photographs. The photograph with white background should not be more than six months old and the measurement of the photograph should be of 3.5 cm wide and 4.5 cm high. The face should display the front of the applicant measuring approximately 2.5 cm wide and 3.5 cm high. The hats, head-gear, and sunglasses are strictly not allowed. While applying for the extension of the validity one year before or after the expiry date of the current passport, you are required to submit one color passport photo. The remaining requirements the about size and composition of the photograph are same as for the new application photograph. In case of applying for a travel certificate, 2 colored identical photographs have to be submitted all other requirements being similar to the photographs for new passport. Beside passport photographs, all applicants are required to furnish their exact residential number of Korea along with their permanent residential address in country. Otherwise, they are required to submit their Family Census Register. Male applicants between the ages of 18 and 35 years have to submit the proof of extension from military services. However, those who have completed their military service are not required to submit this document. If you are applying by mail, you are required to send the application enclosed with all documents and a stamped envelope with a return address. Do not forget to mention your preferred mailing service for the secure arrival of your passport. If you are a foreign national and want to apply for Korean visa, you have to furnish 1 recent colored photograph measuring 50 X 50 mm along with copy of your passport and other documents. Looking for high quality and fordable passport or visa photos? You’ve come to the right place! As a professional photography business we provide customers with the best digital photographic and printing equipment. 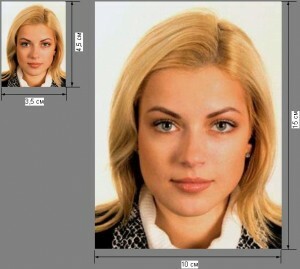 Italian passport photo, Italian passport photos, Italian passport photograph, Italian passport photographers, passport photos Italian, passport photo Italian, passport photograph Italian, visa photo Israel, visa photos Israel, visa photograph Israel, Israeli visa, Israeli visa photo, Israeli visa photographer, Italian visa, Italian passport photos. Looking for a high quality and affordable passport of visa photos? You’ve come to the right place! As a professional photography business we provide customers with the best digital photographic and printing equipment. En el caso de robo o pérdida de pasaporte, deberá traer denuncia policial. Asimismo, necesitará los datos de su último pasaporte (día, mes y fecha de emisión; autoridad de emisión y número de pasaporte). Los trámites son personales porque el interesado debe firmar y colocar su impresión digital. Todos los trámites de pasaporte se entregan en aproximadamente 5 días hábiles de ser tramitados. There are many different types but temporary visas are the most common. Among them are work visas, student visas and medical and tourist visas, all with different regulations The visa photo requirements are generally four standard-size passport photos ie the same as the passport photo specifications. 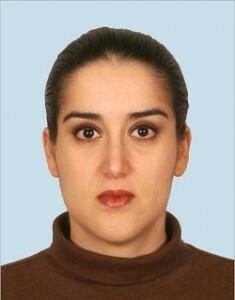 5 color passport photos -no glasses. D.N.I . (Documento Nacional de Identidad); vote entries must be up to date. The history of tango began in Buenos Aires, Argentina in the late 19th century. The dance started in the lower-class districts of Buenos Aires taking place in the periphery of the city, bars, cafes and courtyards. Then tango took the next step into more established Dancing Houses and later inside middle and high class Argentinian homes.